Officials with Samsung appeared at the Ma Bell archives late Friday night after combing through the catacombs of the long forgotten warehouse. 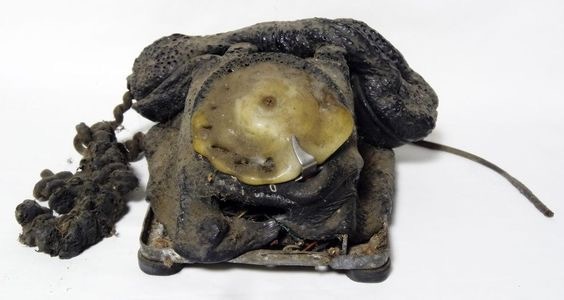 Witnesses to the hastily called press conference confirmed that the above photo, which recently went viral, shows a building that burned to the ground when a rotary phone spontaneously went up in flames in June of 1972. “Technology simply has not advanced enough, in the world of communication, to avoid these occasional bursts of telephone pyrotechnics,” stated Samsung’s fire chief emeritus, Edgar Robins. “Frankly, we’ve been battling this since the Candlestick,” he added solemnly. A photo of the alleged offending rotary phone was also displayed at the press conference. This photo, much to the dismay of the fire chief emeritus, did not go viral. 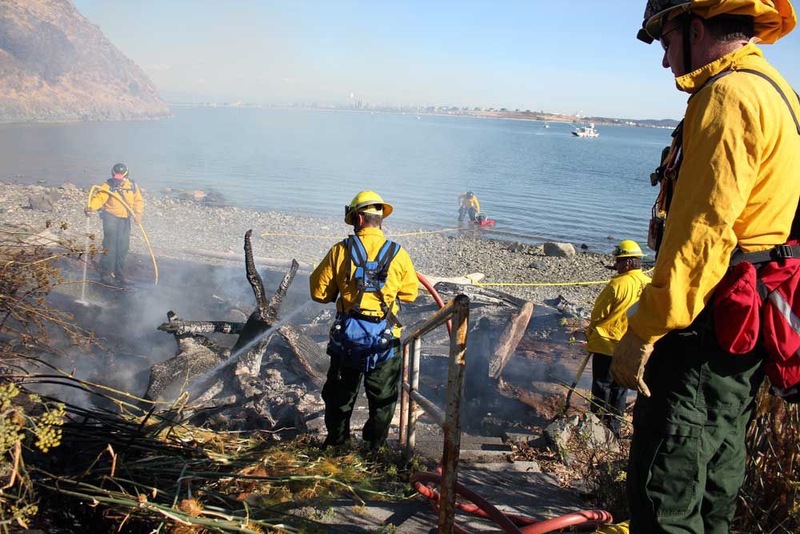 Editor’s note; A Correction: The first photo above was of a fire at Rotary Park, not a fire caused by a rotary phone, as previously reported. We apologize for any confusion this may have caused. This entry was posted on Sunday, September 18th, 2016 at 5:20 AM	and tagged with history, parody, phone safety, photo and posted in public service announcement. You can follow any responses to this entry through the RSS 2.0 feed. « Nice win for the Bison!